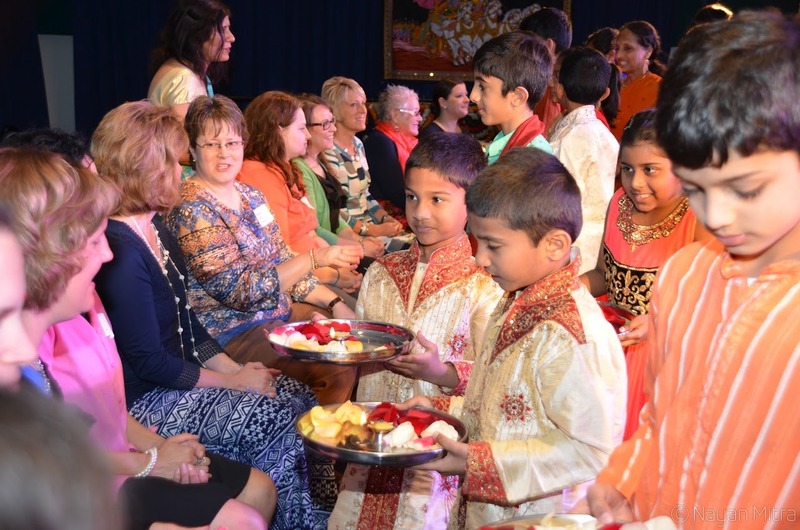 To commence the Utsav, Acharya (teacher) of DAV Montessori school, Sri Sone Rao and vice president of HSS Houston chapter, Sri Subhash Gupta were invited to the beautifully decorated altar where they lit two silver lamps. Following this initial lighting, each teacher was invited to the front of the Keshav Smruti hall along with their students, where teachers followed suit and each lit a lamp. The lighting of the lamp symbolized the darkness they have dispelled and fire they have awoken in their students. After the lighting of the lamp, students offered bouquets of flowers to their teacher, which further conveyed the respect and love each student had for his or her teacher. Before returning to his or her seat, every teacher was given an introduction of his or her teaching profession by his students. For more information on HSS visit www.hssus.org or www.hindueducation.org for Hindu Education foundation.